This beautiful little Jack-o-Lantern is Jenna Jade. Miss Jenna has been coming to my contest since she was just a babe. 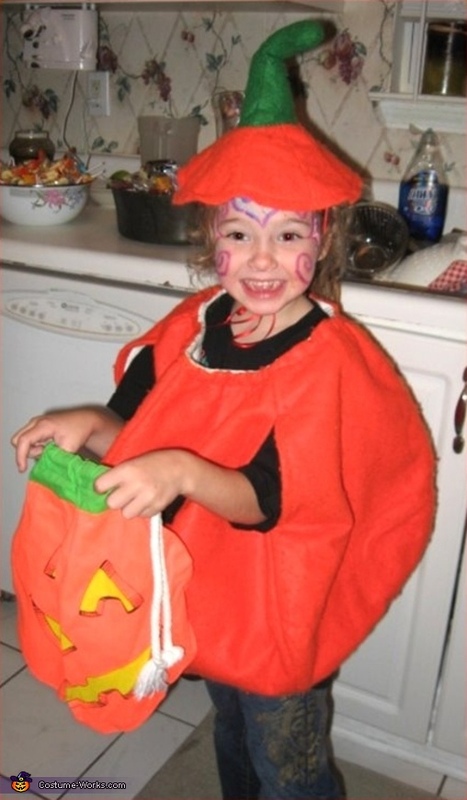 Jenna Jade is wearing a Jack-o-Lantern Costume that her Mom, Stephanie, wore when SHE went Trick-r-Treating as a child. The Costume was Hand-Made by Jenna's Great Grandmother (Mom Stephanie's Grandmother, which I think is REALLY cool!). You are just as beautiful as ever!